Once we got to Barton, I immediately began taking photos of Amelia's flock of chickens. These aren't my best photos of the gals, just my favorites. 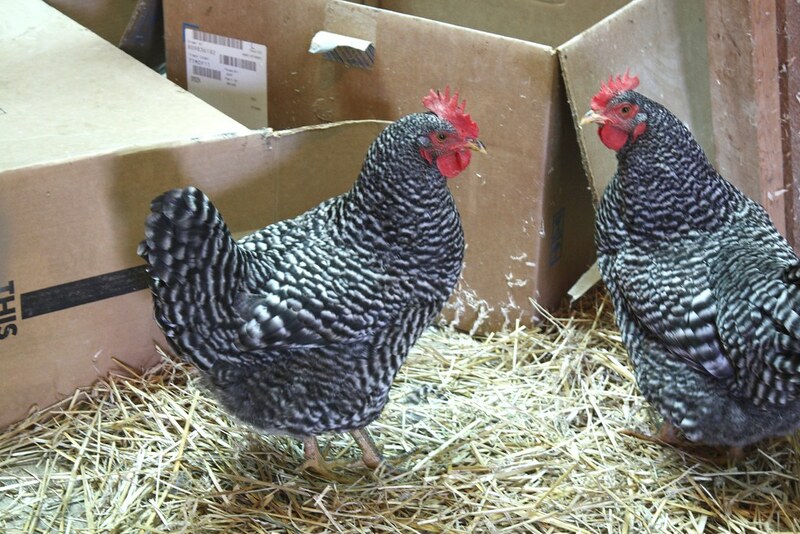 They show the personalities of the Barred Rocks. You can click on any of the photos and view them full size in a new window. 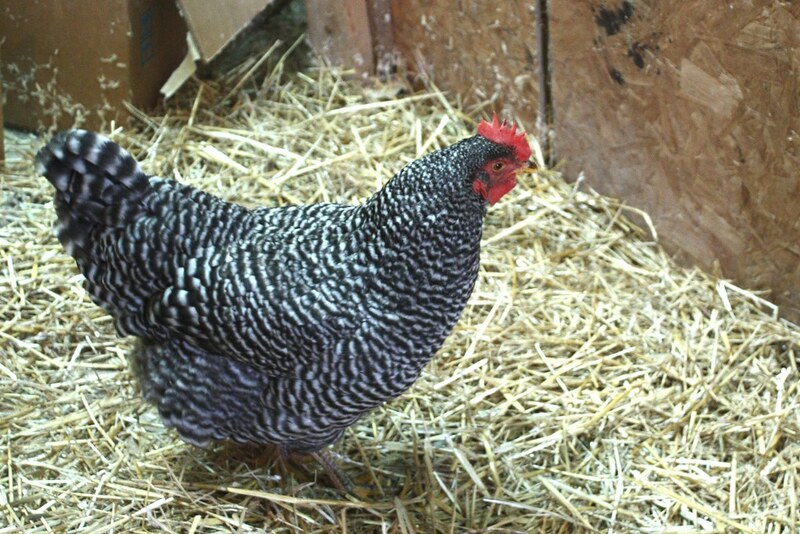 Barred Rocks are Plymouth Rock chickens, a totally New England breed of chicken. Read the fascinating wikipedia article for more info. I am told that the hen with the darkest red comb is the dominant hen. 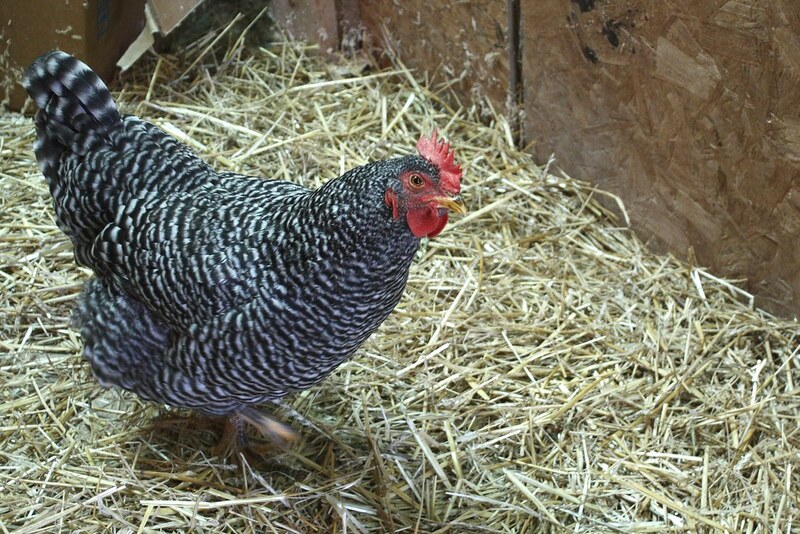 The hen with the palest comb is the most submissive and is picked on by everybody else. Hence, "pecking order" became a common phrase in our language. 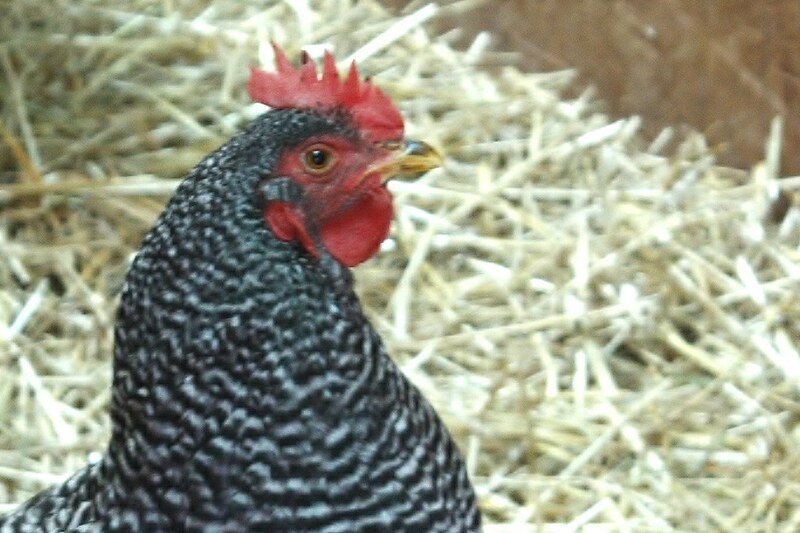 These were my favorite chickens, too, when I raised chickens. I loved my chickens.